Left and Right fenders stencils. Left and Right door stencils. Left and Right quarter panel stencils. PPG paint chart for 1967 for correct stripe color. 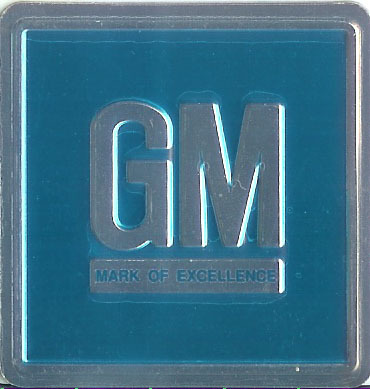 This kit is recreated from an original GM paint stencil that was offered during the production year. Even the part number is the original one used by GM. We Were Second… to offer a reproduction kit using an original GM stencil kit even the part number is the original one used by GM. Kit Consists of: 8 stencil pieces: Left & right front fender, doors, and left & right 2-piece quarter panel stencils. Patterned from an original GM stencil kit used for production. 1050808 1967 Brushed Aluminum plate with Teal background use on the inside of the door opening. Great addition to any car.